President Lee Myung-bak nominated 47-year-old former governor of South Gyeongsang Kim Tae-ho as the new prime minister and replaced another seven of his 15 Cabinet members, Cheong Wa Dae said Sunday. “The appointment of a young, self-made former governor as the prime minister indicates that the newly organized Cabinet will seek to improve communication with the younger generation and bring together people from different regions and classes,” senior presidential aide for public relations Hong Sang-pyo said. The reshuffle of half of the Cabinet reflects the public’s demands for change shown in the June 2 local elections and the July 28 by-elections, Hong explained. Three incumbent ruling party legislators, three vice ministers and a former presidential aide made it into the Cabinet. They will take office parliamentary confirmation hearings. The president appointed Rep. Yoo Jeong-bok, henchman of his political rival Rep. Park Geun-hye, as minister of agriculture and Rep. Lee Jae-oh, the kingmaker who made a successful comeback to the National Assembly in the by-elections last week, as minister of special affairs. Rep. Chin Soo-hee, two-term lawmaker and former chief of the Grand National Party’s think tank, was named minister of health and welfare. Vice ministers Lee Joo-ho of education, Shin Jae-min of culture, Lee Jae-hoon of knowledge economy were promoted to ministers. Former presidential aide of state affairs planning Park Jae-wan was tapped minister of employment and labor. Two more ministerial-level officials and two vice-ministerial officials were also nominated Sunday. Former vice minister of labor Chung Jong-soo and former minister of knowledge economy Lim Chae-min were appointed as chief of the National Labor Relations Committee and minister of the Prime Minister of Office, respectively. Chung Sun-tae, prosecutor-turned-chief of a panel that supports victims of forced labor under Japan’s colonial rule, was named minister of government legislation. 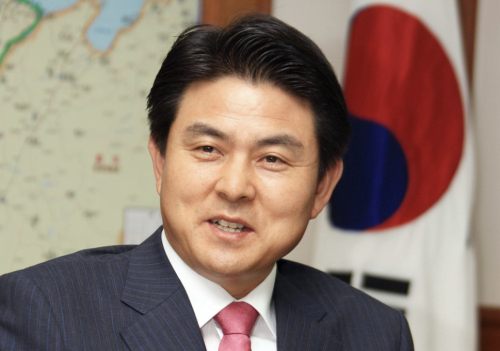 Vice commissioner of the National Tax Service Lee Hyun-dong was promoted to commissioner.